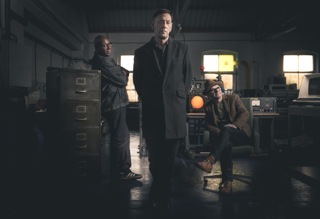 A Certain Ratio announce details of the next phase of reissues on Mute, acr:mcr and I’d Like To See You Again will be released on 23 March with Good Together and Up In Downsville following on 27 April 2018. The reissues are part of the ongoing collaboration with Mute that started with The Graveyard And The Ballroom, To Each and Force. The forthcoming releases, including the long out of print albums acr:mcr and Good Together will be followed by Sextet, Mind Made Up, Change The Station and a new compilation with recently recorded tracks plus various box sets that will include rare and previously unreleased material, in a campaign that is set to run over the next three years. A Certain Ratio (Jez Kerr, Donald Johnson, Martin Moscrop, Denise Johnson, Tony Quigley and Liam Mullan) will embark on a UK tour in the spring, following last year’s incredible sold out hometown performance in Manchester. The tour kicks off on 16 March in Newcastle and includes a date in London on 21 April and at Atmosphere Festival at Seel Park in Mossley, full details below. They have gone on to influence generations of musicians - from LCD Soundsystem, Happy Mondays, Franz Ferdinand, ESG, Factory Floor and Andrew Weatherall, who will appear at the band’s sold out Hebden Bridge performance in May.